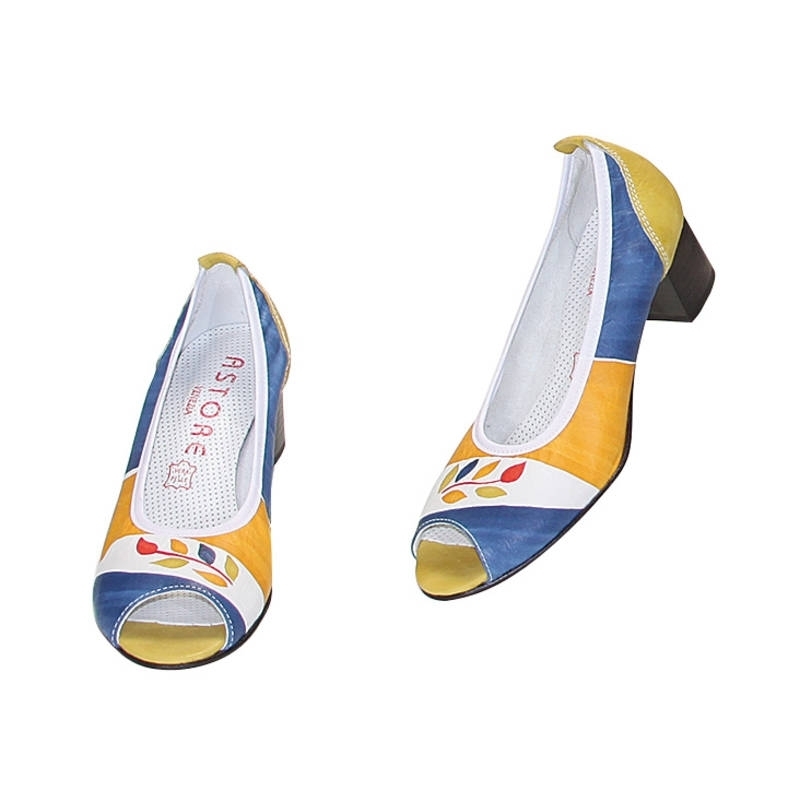 Natural leather ballerina open-toe pumps, hand painted. Court shoes with leather inside and microlite outsole. Ideal both for formal and casual clothes, comfortable in every occasion. Match them to your Acquerello handbag! Colors yellow, blue, red and green on white background and branch pattern.